GoSiteManager, Author at LSC Construction Services, Inc.
First impressions are important to a company, and for many, the first things your customers will notice are your parking lots or driveways. If maintained properly, asphalt can look great and last a long time. But if not taken care of, asphalt parking lots will crack and deteriorate, leaving large potholes and an overall look of negligence. Ensure your customers have a great impression of your business with asphalt maintenance in Minneapolis, MN. Keeping up with repairs will not only make your pavement look great, but it will also save you time and money on costly fixes at a later date. Here are some tips to save money in the long run with asphalt maintenance. Small cracks in asphalt may not look like much initially, but if left unattended, can grow to be huge problems. For example, heavy vehicles sitting on asphalt for long periods of time can lead to large, long cracks that can wind up deteriorating over time. Additionally, water will get inside the cracks and cause extensive damage. As the temperature fluctuates from season to season, it will lead to the asphalt expanding and contracting, causing cracks to widen or even creating new cracks. Because cracks can be so damaging, it is imperative that you keep up with necessary asphalt repair in Minneapolis, MN. LSC Construction Services has a reputation for being a top commercial asphalt paving contractor in Minneapolis, MN. Don’t wait to repair cracks. Keep up on asphalt maintenance for your driveway or business parking lot, and contact LSC Construction Services today. Another way to guarantee your asphalt looks great and last for a long time is to apply sealcoating. A layer of sealcoating on top of asphalt can go a long way in preventing cracks from forming to begin with, so you aren’t left with expensive repairs. To inquire about sealcoating in Minneapolis, MN, contact the experts at LSC Construction Services. Anytime you are looking for long-lasting, great results, it is best to trust the professionals. So, when you are in need of asphalt repair, LSC Construction Services has years of on the job experience. They will make sure to get the job done right. For asphalt paving in Minneapolis, MN for your home or commercial asphalt paving in Minneapolis, MN you can rely on LSC Constructions. Our team of professionals is standing by to help you keep your asphalt looking great all year round. Give us a call today. With all roads, parking lots, and sidewalks there comes a time when wear and tear start to creep up slowly as the years pass by. For most, these are issues that are usually someone else’s problems: your neighbor, the city, or just another place of business. Unfortunately, if you have a parking lot for your business that you are responsible for, you may need to deal with pavement problems personally. If you need a commercial asphalt paving contractor in Minneapolis, MN, LSC Construction is here to help. Most businesses have a busy parking lot with a lot of traffic, which is a good problem to have. However, more traffic means more weight driving over your pavement, causing wear and tear to affect your parking lot faster. Even though heavy traffic does cause the asphalt to have cracks, gaps, or potholes, there is a more serious culprit causing the real damage: water. Asphalt paving in Minneapolis, MN, when done well, shouldn’t have issues with water right away. But once you have a few minor cracks, water can really worsen the problem quite quickly. Water seems innocent enough, but it is one of the most destructive elements we know of. Rain itself is not all that bad; it’s the standing water that you really need to worry about. Standing water can cause serious damage to your asphalt as it can strip away its protective layer and eventually seep inside the pavement’s core, causing further damage to its structure. As the pavement begins to create more and more cracks, more water is allowed to seep through, multiplying the problem. During the winter, you have the added destruction of the water inside the cracks freezing, leading to more cracks and more problems. We offer sealcoating in Minneapolis, MN regularly due to the harsh winters and problems with standing water, which can help your asphalt last longer. Who knew a simple puddle could be so scary. Besides the puddles forming around your parking lot, there are other things you can check for. Are there any oil spots around your parking lot? Do you have cracks and are those cracks where you notice the puddles forming? If you do regularly notice puddles forming after rain, then it’s best to call in the professionals to get it checked out. We can help seal those cracks or reapply a sealcoating for extra protection. We can also perform asphalt maintenance in Minneapolis, MN to minimize the need for future repairs. When you lay a parking lot, of course you want it to last. Longevity of your lot will save you a lot of time and money repaving or redoing your parking lot later. Asphalt paving in Minneapolis, MN is a top choice for long-lasting, durable parking lots. Don’t waste your money on other parking lot material options that could cost thousands more and require more money to repair later. Rely on what lasts, and that is asphalt. Asphalt has a reputation for lasting a long, long time. It may require resurfacing after a period of time, but that often doesn’t need to happen for 15 to 20 years after initial installation. The longevity of asphalt makes it a cost-effective and efficient choice for parking lots of all sizes. Should you need repairs, asphalt repairs in Minneapolis, MN are affordable and can add even more life to your surface. Asphalt is easy to maintain and easy to repair, making it a great, all around choice. Not only is asphalt known for its longevity, but it is also durable. Asphalt is used on roadways because it is durable enough to handle high traffic volumes, so it is a great choice for a durable parking lot as well. Driveways and parking lots can see a lot of traffic, making asphalt a great option to withstand high traffic volumes. It isn’t easily damaged or affected by weather conditions. Annual asphalt maintenance in Minneapolis, MN can keep your asphalt looking as good as new each year. LSC Construction Services offers sealcoating in Minneapolis, MN to protect your surface from wear and tear so it can withstand all conditions. Asphalt might not be the first material that comes to mind as an eco-friendly option. But it is actually made from recycled material, making commercial asphalt paving in Minneapolis, MN a good choice for your parking lot and for the environment. Commercial asphalt paving contractors in Minneapolis, MN don’t throw asphalt away after tearing up a road or another surface. Instead, they reuse the materials. If you are looking to redo your parking lot, you can’t go wrong with asphalt. Contact LSC Construction Services today for a parking lot that is eco-friendly, durable, and long-lasting. The harsh winter weather can wreak havoc on your asphalt this season. The freeze & thaw cycle throughout the season can create pooling water that will affect the integrity of the asphalt surface. Additionally, as water freezes, it expands, causing small potholes or cracks in asphalt surfaces that aren’t prepared for the cold. If not carefully maintained, you might find yourself in need of repairs during the spring or summer. Thankfully, there are several ways to protect your asphalt from the winter weather. If you can, inspect your asphalt during the fall months to repair any small cracks or holes before winter so they don’t become larger problems during the freezing winter weather. Cleaning your asphalt to remove debris before the first snow will help keep your asphalt from incurring damage. If you don’t have time to clean it right, or need some small repairs, LSC provides asphalt maintenance in Shakopee, MN. Because water is what damages the asphalt, keeping your surface clear of snow and ice will prevent water from pooling once the ice and snow melt. Be careful when shoveling snow that you don’t do further damage to any cracks or snags in the surface. Shovel regularly to avoid accumulating water that leads to costly repairs. Many people will throw down salt on their surface to avoid snow accumulation. But this might not be the right choice for those with asphalt surfaces. De-icers usually contain more than just salt. Salt itself may not do damage to asphalt surfaces that have been properly installed and sealed, but harmful chemicals that are usually found along with salt in de-icers may cause damage. So think carefully and do your research before applying any type of substance on your asphalt. Melting snow can cause pools of water to gather on your asphalt. It is imperative for the integrity of your surface that you avoid pooling water at all costs as it can cause potholes to form. If a pothole forms before you can get ahead of the winter weather, call LSC Construction, a highly recommended asphalt repair company in Shakopee, TX. They can repair the damage before it gets worse. Weather conditions will affect your asphalt surfaces over time. The best solution for addressing the elements as well as the everyday wear and tear is to apply a sealcoating regularly. It not only gives your asphalt a brand new look, but also protects it through the year. For sealcoating in Shakopee, MN, turn to LSC Construction. We can make your asphalt as good as new once again. Asphalt has been around in its present form since the early 20th century. 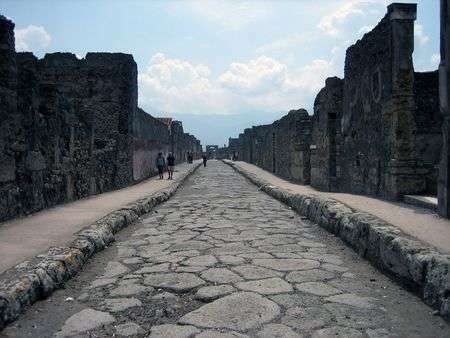 However, history can trace the use of asphalt all the way back to the Roman Empire days as a means for making roads for travel. Other uses for asphalt included a binding substance for shells or pearls to put in statues or preservation purposes for mummies. It was also used for joining brick together or for waterproofing the hulls of ships. But just what are the origins of asphalt and how did we come to use it for roads, driveways, and asphalt paving in Shakopee, MN? Asphalt can trace its roots back to the Mesopotamian times when they would use asphalt to waterproof bathtubs and ships. Phoenicians, Greeks, and Romans also used asphalt as a sealant. Professor Edward J. de Smelt is credited as inventing modern road asphalt at Columbia University in 1870. After the modern-day invention, the next major milestone for Asphalt didn’t really appear until July 29 of 1970, where asphalt was also used to pave William Street in Newark, New Jersey. Battery Park and Fifth Avenue. These were the first streets in New York to be paved with asphalt. 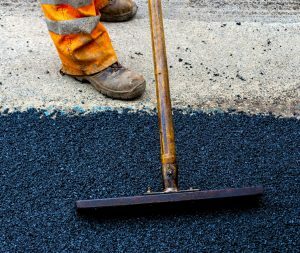 Five years later, 54,000 square yards of asphalt was laid down on Pennsylvania Avenue in Washington D.C.
Where Did the Term Asphalt Come From? The word asphalt stems from the Greek word asphaltos, which means “secure”. It is made from the processing of crude oil and consists of asphalt binder and mineral aggregate that can form a sticky, secure substance we use on roads today. One common myth is that asphalt is a type of “tar”. This is false. 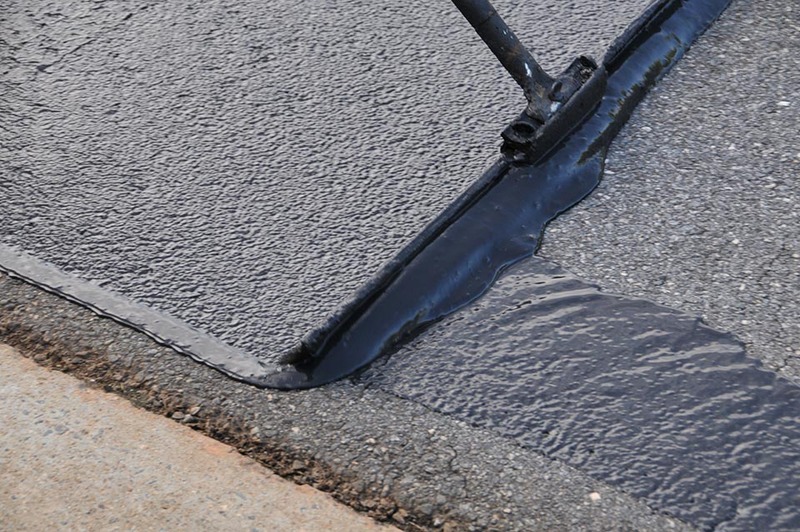 Asphalt is a natural, sticky and elastic substance that can stretch and bend without breaking. It has amazing properties such as the ability to repel water, which is why it is often used for waterproofing. At room temperature, it is a very thick liquid but it when heated, it becomes thinner and easier to work with. While asphalt is naturally occurring in places such as a lake in Trinidad and in the La Brea in downtown Los Angeles, most of the asphalt we use today comes from petroleum crude oil. Liquid asphalt is the heavy parts that are left after everything else is distilled off for gasoline. When Did They Start Paving Roads in the U.S.? In America today, most of our roads are paved with asphalt concrete. One of the first roads ever paved was the famous Champs-Élysées in Paris in the 1600s. By the 1800s, asphalt paving had come to America. Pennsylvania Avenue in Washington D.C. was among one of the first paving projects in America. Asphalt is popular today and is used for many driveways as well as roads. If you have an asphalt driveway that is in need of asphalt maintenance in Shakopee, MN or asphalt repair in Shakopee, MN, LSC Construction Services is your go-to company for all your asphalt needs. As winter approaches, we also recommend sealcoating in Shakopee, MN. Give us a call today to schedule your service as we are happy to help. Repairing and maintaining your asphalt driveway may not be a top priority on your home projects list, but it could be extremely beneficial. Spending the upfront money on asphalt maintenance in Shakopee, MN can keep your asphalt from further damage and save money in the long run. One single crack can end up leading to bigger and more expensive problems, so invest now and save later. Asphalt surfaces that aren’t maintained will eventually need a complete overhaul. The freeze and thaw process each winter will only cause more cracking until the surface become a hazard and needs to be redone. Asphalt maintenance and repairs that are done early will lead to a longer lasting asphalt surface and can help avoid a complete renovation later on down the road, saving you hundreds of dollars in the future. If you notice some cracking or water pooling on your surface, don’t wait. Ask LSC Construction Services how asphalt repair in Shakopee, MN can be a good investment for a longer lasting asphalt surface. If asphalt is not installed correctly initially, it will lead to a myriad of future issues. The foundation must be accurate from the very beginning in order to ensure proper installation. Asphalt contractors must consider the support structure of your driveway as well as proper drainage. For this reason, it is important to choose a reputable company that will do the job right from the beginning so that you won’t pay for it in repairs a few years later. Poor water drainage is one of the top causes of expensive asphalt damage. Driveways without proper drainage are more prone to frequent repairs. Standing water is especially harmful as it compromises the asphalt surface leading to cracks and potholes. Proper drainage is crucial when installing a new asphalt driveway or maintaining an existing driveway. Even flat surfaced need at least a 2% grade for drainage purposes. If your driveway has pooling water, spend the money now on minor repairs and save on larger, more expensive repairs later on. Yearly maintenance for an asphalt driveway should include applying a seal coat. This layer of coating fills in minor cracking and adds an extra layer of protection from the elements. It’s always a good idea to include this in your yearly budget to save money in the long run. LSC Construction Services performs seal coating in Shakopee, MN to protect your asphalt so that it will last. Contact them today for an estimate and ensure your asphalt is protected from costly future repairs. With summer coming quickly to an end, it’s time for homeowners to begin thinking about some fall maintenance, and that includes your asphalt driveway. Taking care of your driveway and being intentional about putting in the hard work up front is a great way to save money in the long run. Here are some tips to make sure your asphalt driveway is ready for that autumn season. The autumn season brings cool weather, but it also brings with it leaves and limbs that fall off of trees and onto your driveway. It is important to maintain your asphalt driveway with regular cleanings. The cleaner your driveway, the easier it is to spot any cracks or issues that might need to be fixed. It is important that your driveway is crack free and draining properly as winter approaches to prevent further damage. Paving contractors in Shakopee, MN will come in and fill the cracks to prevent water from entering the cracks and freezing during the colder months. Freezing water will expand, creating pressure on your driveway, causing more cracking if not properly fixed. If, during your cleaning, you see something that needs to be addressed, contact LSC asphalt contractors In Shakopee, MN to fill cracks before the first freeze sets in. A sealcoat is an added layer that protects the asphalt driveway from water, sun, and oil spills. It seals small cracks and rough spots to keep your asphalt looking great. The fall is the perfect time for driveway pavers in Shakopee, MN to apply a sealcoat, just before winter and the first freeze-thaw cycle. Sealcoat will waterproof your asphalt driveway to prevent water penetration and ensure the asphalt is protected from rain and water runoff. If your driveway needs a fresh coat of sealcoat this autumn, asphalt companies in Shakopee, MN are prepared to help. You may need to contact asphalt paving companies in Shakopee, MN if you begin to notice areas of the asphalt driveway that collect water. This is a sure sign of improper drainage. Standing water will create more problems, so this should be corrected as soon as possible with asphalt paving in Shakopee, MN. Reach out to LSC Construction Services to schedule a service appointment and ensure your driveway is taken care of this fall. Don’t let winter destroy your asphalt driveway. Prepare this fall and ensure your driveway will last. Minnesota winters can be incredibly severe. Between frigid temperatures, piles of snow, and biting wind, even the strongest materials can suffer damage. Asphalt is something that needs to be taken care of all year long but particularly during the cold winter months. You can utilize asphalt preventative maintenance services all year long to ensure the integrity of your asphalt is maintained, and you can also utilize winter management services for extra upkeep. Give us a call at LSC Construction Services to learn more about asphalt preventative maintenance services and utilize the following tips for protecting your asphalt this winter. Any asphalt repairs that need to be done should be done before the cold begins. This includes any repaving, grading, patching, seal coating, and more. At LSC Construction Services, we can provide winter management services to ensure any issues are handled before they get worse. The sooner you take action and complete the asphalt repairs, the better off your asphalt will be this winter and in the spring. Sealcoating is a great protective coating for your asphalt. When you first get commercial asphalt paving done, most companies will finish the job by applying seal coating, but you can have this applied or reapply later for additional protection against the elements. Particularly when it comes to winter elements, like snow, ice, hail, salt, and more, seal coating will keep your asphalt from developing cracks, holes, and more. Any patching of potholes should be done before the cold weather strikes. This will ensure that the potholes don’t get worse over the winter and that the patching has time to set effectively before the winter elements can wreak havoc. Whether you’re trying to protect your asphalt parking lot, your driveway, or another paved surface, keeping it clear of debris will help immensely. Particularly as winter nears and then is in full swing, make sure that debris is regularly cleaned up so that it doesn’t get frozen to the pavement and break down the asphalt beneath. When you need commercial asphalt paving, asphalt repaving, or asphalt repairs, LSC Construction Services can help. Additionally, if you need winter management surfaces for your asphalt or if you need asphalt preventative maintenance services, we can help. Take these tips into account and give us a call if you need additional assistance. If your business is considering an update or renovation project, don’t forget to include the parking lot in that renovation. The parking lot is often the first thing customers see, so give a great first impression with a new and meticulously maintained parking lot. High-quality commercial asphalt paving in Shakopee, MN is the way to go to welcome customers and create a professional environment. Here are 7 reasons why asphalt is the preferred choice for business parking lots. With necessary upkeep and maintenance, asphalt will last for years. It is a good option for businesses because the right yearly maintenance will ensure that the parking lot looks great for customers while saving money for business owners. Driveway pavers in Shakopee, MN can perform maintenance on asphalt lots such as crack and pothole repairs, seal coating services, or sweeping and cleaning services to keep parking lots looking their best. Asphalt is one of the most affordable options on the market, saving you money while making your parking lot look exceptional. Not only is asphalt affordable, but it also boosts property value. In fact, exterior improvements to business such as asphalt paving can add 5% to a property’s value. Curb appeal is important to increasing property value and making your business look fantastic. Contact paving contractors in Shakopee, MN to find out more about increasing your property value with asphalt parking lots. When you are renovating a business, time is of the essence. Luckily, asphalt paving is time efficient and can be done quicker than other options. It can be installed quickly so customers can have access sooner and your business can be open and accessible for all as soon as possible. Easy maintenance for your asphalt parking lot is another benefit to choosing asphalt paving or other options. There are more important things to worry about as a business owner than constant parking lot upkeep. 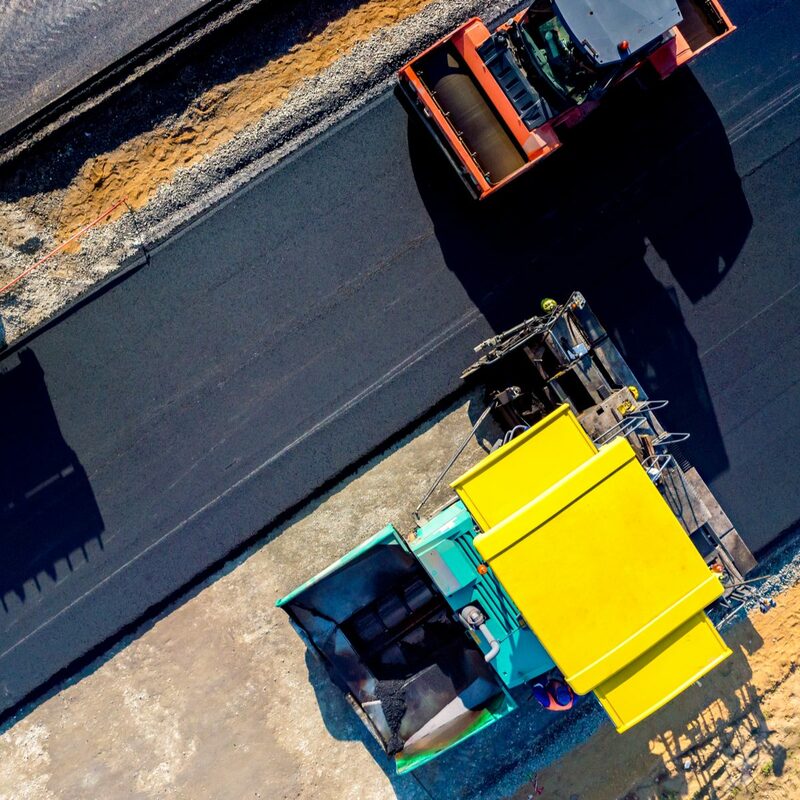 Asphalt companies in Shakopee, MN can assist with quick and easy yearly maintenance so that you have one less thing to worry about and can focus on running a business. Paving companies in Shakopee, MN ensure that asphalt parking lot surfaces are smoothly installed and safely maintained so that customer’s safety is a high priority. Asphalt is easy to repair by filling cracks and potholes to remove potential hazards that could compromise customer safety. A well-kept, smooth, clean lot attracts customers. 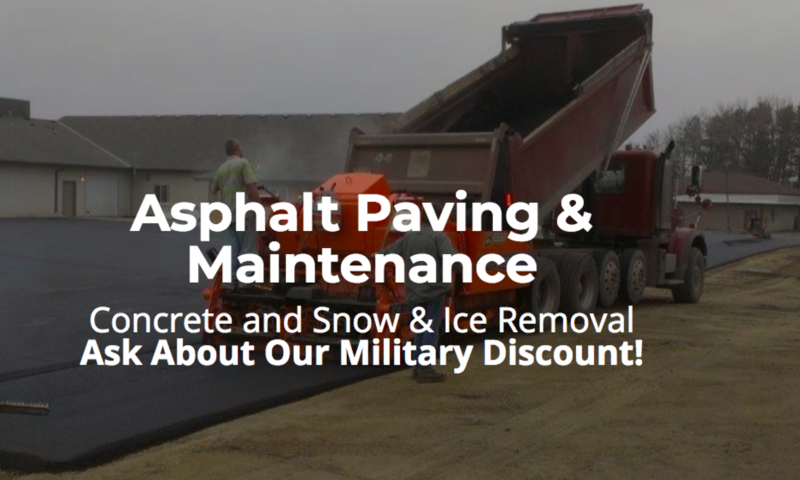 Asphalt companies in Shakopee, MN will ensure your parking lot is well maintained, smooth and safe for all customers that enter. With the environment push that is happening today, businesses are looking for ways to go green. Commercial asphalt contractors in Shakopee, MN can install eco-friendly asphalt parking lots to satisfy both business owners and customers. Surprisingly, asphalt is composed of mostly reused and recycled product, making it extremely environmentally friendly. Choose asphalt for your parking lots as both a budget-friendly and environmentally friendly choice. You can’t go wrong when you to pave your parking lots with asphalt. It’s an all-around great option everyone will love.